The University of California, San Diego will host its first-ever fundraiser for prostate cancer research, “Breakfast with Champions,” on Friday, Feb. 22 at the La Jolla Country Club. The event will feature Pro Football Hall of Famers and prostate cancer survivors Mike Haynes and Deacon Jones who will discuss their experiences as champions, both on and off the field. The public is invited; all proceeds from the event will benefit prostate cancer research at the UC San Diego School of Medicine. Prostate cancer is one of the most common forms of cancer among men in the United States, just second to non-melanoma skin cancer. According to the American Cancer Society’s estimates for 2013, roughly one in six men will be diagnosed with the disease. 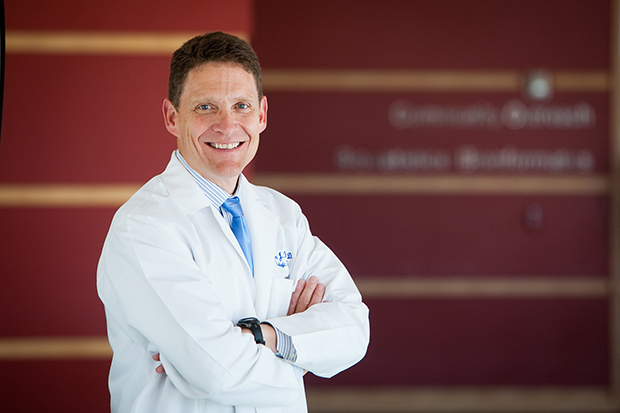 Christopher Kane, M.D., chief of the Division of Urology at UC San Diego’s School of Medicine will speak about advances in prostate cancer research and patient care at the Feb. 22 “Breakfast with Champions” fundraiser. UC San Diego researchers are investigating every aspect of prostate cancer in order to more effectively address the whole spectrum of the disease, starting with early detection. “Breakfast with Champions” will be held from 8 to 10 a.m. on Friday, Feb. 22 at the La Jolla Country Club. Signed memorabilia from Haynes and Jones will be featured in a silent auction. Tickets are $250 per person and sponsorship opportunities are available. For more information and to purchase tickets, visit the Breakfast with Champions website or call (858) 534-4289. To learn more about the UC San Diego Division of Urology, visit urology.ucsd.edu.